Last year there was intrigue at the top of the draft. The Houston Texans, keeping their trade options open with the first overall pick, never divulged publicly who they’d take until handing in the card on draft day. There’s no such intrigue this year. It became obvious at the NFL scouting combine, when Tampa Bay Buccaneers coach Lovie Smith said he was comfortable with Jameis Winston’s off-field past, that Winston would be the top pick. And at the NFL owners’ meetings this week, Smith basically confirmed that Winston will be the pick, even though he left himself some outs. Smith was asked if it would be an erroneous assumption to think the Buccaneers will choose Winston, and Smith shook his head, according to the Tampa Bay Times. While it’s not a shocking revelation, it eliminates all of the other possibilities, at least for the moment. 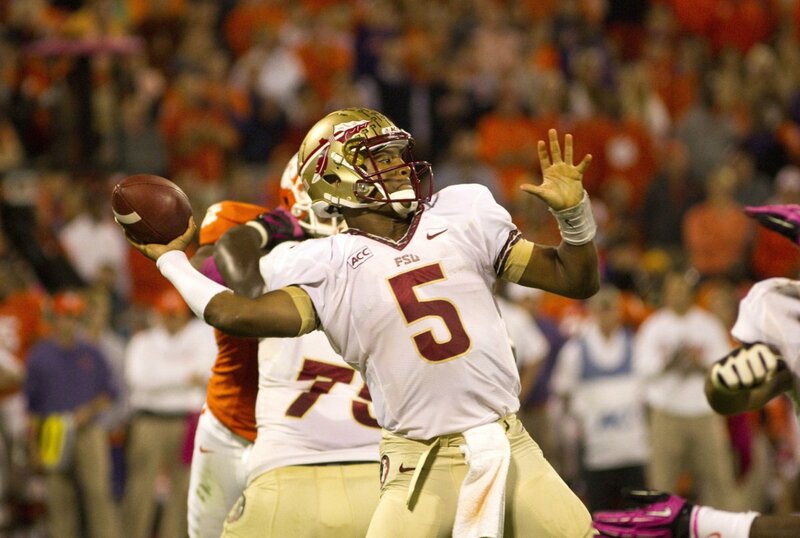 Barring an unforeseen change (or a phenomenal smoke screen by Tampa Bay), Winston will go first. That leaves the pre-draft games to start at No. 2. Tennessee coach Ken Whisenhunt strangely said this week that if the Titans pick Oregon quarterback Marcus Mariota, he’d be the team’s opening-day starter. That seems like an awkward way to drive trade value, enticing some team who might want Mariota but can’t be sure if the Titans are serious about taking him. Expect plenty of similar comments from Tennessee before the draft as the Titans try to put themselves in position to maximize the value of the second pick, if they want to go that route. But there’s no use for the Buccaneers trying to throw anyone off the scent. The first pick is obvious.